Classic design suitable for both traditional and contemporary settings with comfortable deep-buttoned backs and attractive scroll arms. Offered in a huge range of sizes. - Choice of Finger-release Catch or Handle Release on Manual Recliners. 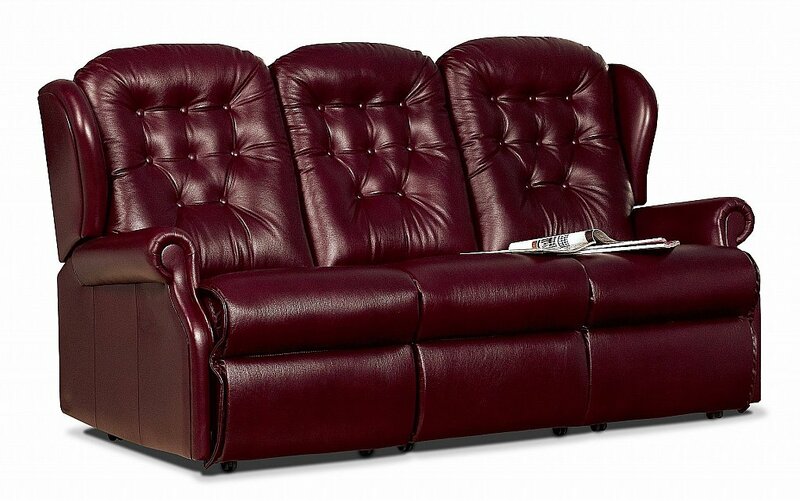 I would like more information about Lynton 3 Seater Leather Sofa by Sherborne.